is the Chapter Executive Director/CEO for the American Academy of Pediatrics, California Chapter 3, San Diego and Imperial Counties (AAP-CA3). As the Executive Director for the past 15 years, she has provided administration and oversight of operational and financial functions, conducted community outreach and advocacy with local and state officials, and managed and coordinated chapter projects. Meredith has over 23 years of project administration and budget management experience on various public health projects including work at UC San Diego in clinical research. She has worked with physicians, pharmaceutical companies, and city and county governments on child health issues and has extensive experience writing policies, reports, and grants, including work on NIH funded research and clinical trials. 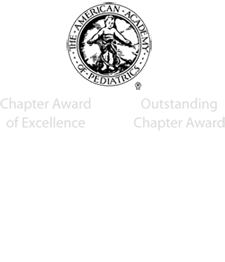 While with the chapter, AAP-CA3 has been awarded the National American Academy of Pediatrics Chapter Award of Excellence in 2012, 2011, 2006 and 2005 and received the Outstanding Chapter of the Year Award in 2013. Meredith received her Master’s in Public Health from San Diego State University, completing her master’s thesis with laboratory work and analysis and a Bachelor of Science degree in Animal Physiology and Neuroscience from University of California San Diego.